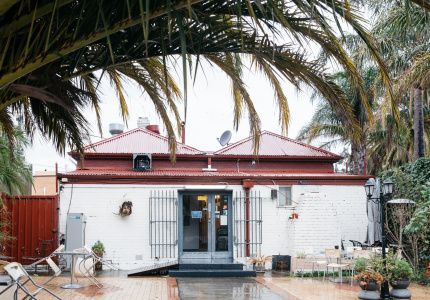 This diverse suburb on the south-east edge of Melbourne has a unique mix of food and cultural experiences you won’t find anywhere else in the city. In partnership with realestate.com.au, we explore how Dandenong is changing. Dandenong has always been a vibrant town. The industry that came with the city’s expansion in the ’50s and ’60s brought with it a new generation of migrants with their own unique cultures and tastes – tastes that are reflected in the wide range of restaurants and cafes that line the busy streets today. There’s Little India around Foster Street, where the spices from lamb bhuna and masala tea waft through the air; the Afghan Bazaar in and around Thomas Street, where you can eat warm bread cooked in traditional clay ovens; and many other places, where you can try dishes you may not have heard of, dotted throughout the suburb. 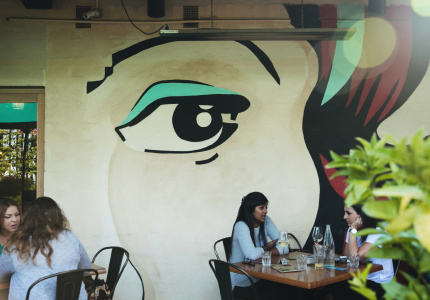 Food has been drawing people to Dandenong for years, but these days they’re as likely to come for the arts as they are for a great meal. The Dandenong Film Festival is rapidly growing into one of Melbourne’s most varied and interesting cinematic events, and last year’s Festival of Lights was a month-long celebration of Chinese culture, during which intricately constructed silk lanterns (from dinosaurs to peacocks) were on display in Greaves Reserve. 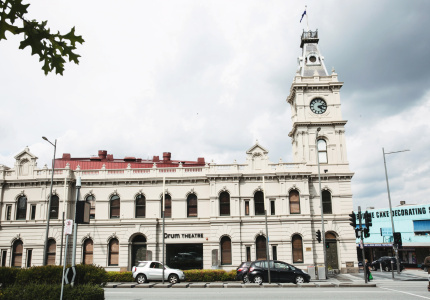 And there’s plenty of history to be found, from the neon “Dandy Pig” sign at the Dandenong Market, to the historic town hall, now the Drum Theatre. 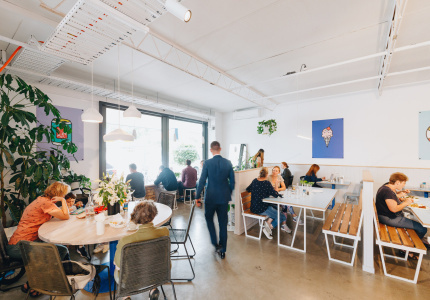 With the CBD a 40-minute train trip away, Dandenong’s always been a great place for those after a mix of nature and city living. 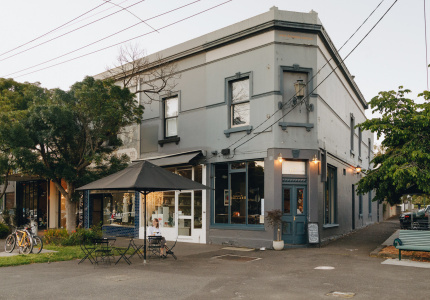 If you’re looking to explore this corner of the city, here are some great places to start with. 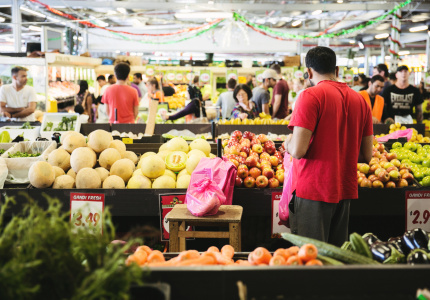 With more than 200 individual traders and five million visitors annually, the Dandenong Market is hardly a hidden treasure. Marketing manager Bryony Walker says the secret of its success is that it’s a traditional working market. “We’re about the hustle and the bustle and doing a good deal,” she says. There’s a wide range of retailers on-site – if you’re looking for Uggs, it’s the place to go – but with three different deli operators, a baker who bakes on-site and a huge range of ready-to-eat food in the Market Square, food is definitely the major draw. 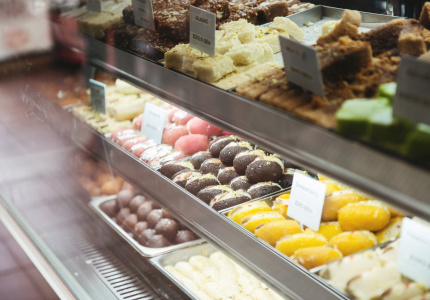 In a suburb known for its diverse range of Indian and Sri Lankan restaurants, Calcutta Sweets stands out. While the modest-looking venue in the area known as Little India gets its name – and its glowing reputation – from the wide range of Indian confectionary on sale in the famous display cabinet (the jelly-like Bombay Halwa is definitely a must), the more traditional restaurant cuisine is also well worth checking out. “In the restaurant we specialise in meals from the Punjabi region,” says employee Rohit Sharma. “It’s the curries that a lot of our customers come for.” Other menu highlights include the dowda, a lentil-based north-Indian delicacy, and the garlic naan – especially for those who don’t mind going all-in on the garlic. And this change has extended to what the locals like to eat. “They’re moving away from what was traditional food a decade ago – they’re more open to what we have to offer.” While the menu offers a tasty spin on traditional bistro fare, Zeini says the real attraction is its off-menu burger list. “It started off as me and the chefs getting into burgers. We just started doing little things for our friends, just mucking around. Then it took off like wildfire.” They’re the original burgers Zeini created before opening Grand Trailer Park in the city. You can eat a burger taller than your face; you just have to ask for it. When Baryalai Rahimi first opened the Afghan Rahimi Restaurant, things were very different in Dandenong. 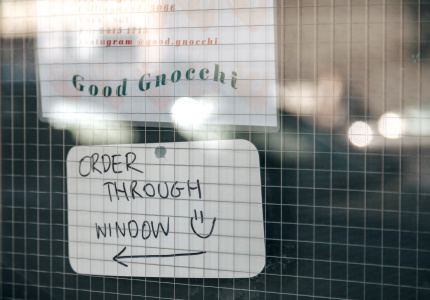 “When I opened in Thomas Street in 2001, people said I was crazy to open there, especially with Afghan food being a new thing. But I said to them, ‘A strong commitment is how you get somewhere in life’.” That street is now the heart of the Afghan Bazaar cultural precinct. Rahimi’s commitment has lasted 15 years and four different locations. 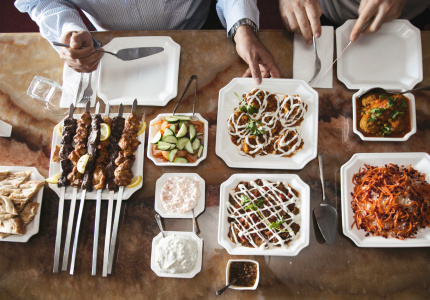 Now firmly established on Walker Street, the Afghan Rahimi Restaurant is a leading light in the region’s fast-growing reputation for independent restaurants and authentic cuisine. With customers now coming from all across Melbourne – Baryalai proudly lists a number of state and federal politicians as regulars, plus the US Ambassador recently enjoyed a long lunch here – bookings are necessary. But for a chance to try its signature mantu dumplings, it’s well worth it. 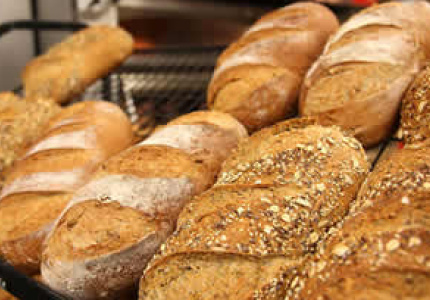 With an all-day polish breakfast and lunch (try the cabbage rolls), there’s a lot more to this bakery than just an amazing range of baked-on-site bread. 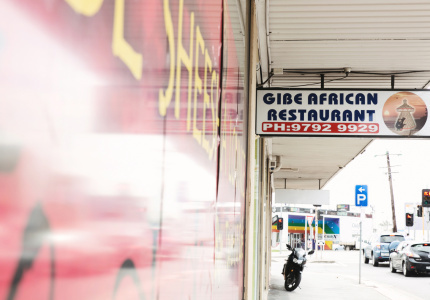 Specialising in Ethiopian cuisine based on spiced meats and the flatbread known as injera, the friendly staff here are the perfect guide, whether you’re new to what’s on offer or fancy yourself a bit of an Ethiopian-food expert. This market stall on the edge of Dandenong’s food market (it fronts on to Cleeland Street) focuses on western-Indian food, a spicy range of largely vegetarian dishes. 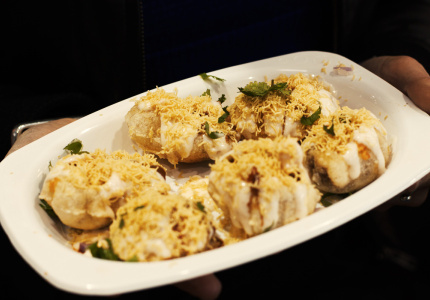 Chaat itself is a delicate pastry case filled with potato and served with yoghurt and tomato relish – unsurprisingly, it’s the stall’s signature dish. 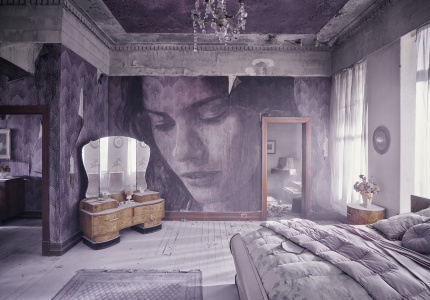 Based in the converted former Town Hall, this events-and-function venue has revitalised the region’s arts scene. It hosts everything from touring comedians and Circus Oz, to the Russian National Ballet. To explore the suburb in more detail, visit the Dandenong suburb profile at realestate.com.au. Authentic Polish in the heart of Dandenong.